With the 2017-18 Premier League season drawing to a close Manchester United are already lining up their options for the summer, and subsequently we’re being linked to new signings left, right and centre. Jose Mourinho is widely-expected to be in the market for a new centre-back during the next transfer window as last summer’s big signing, Victor Lindelof, hasn’t worked out. On top of that, the boss doesn’t appear to be keen on either Phil Jones or Chris Smalling being long-term fixtures in our starting XI. The latest centre-back to be linked with a move to Old Trafford is RB Leipzig’s Dayot Upamecano. The 19-year-old was signed by the Bundesliga side in January 2017, playing in the majority of games for the second half of the 2016-17 season and has been a regular this season too, despite his age. With his excellent performances in the German top flight and making five appearances in both the Champions League and Europa League this season, Upamecano’s stock has risen. Earlier this month, the teenage defender was linked with a move to Barcelona, according to Spanish outlet AS, which went as far as reporting that the runaway La Liga leaders were prepared to pay as much as €100 million (£87m) to land their target. The same report also stated we have shown interest in the player. “As a youngster, you dream of Real Madrid, Barcelona, Manchester United, but to get there, you have to work. “I’m very proud of myself, very happy. I have to keep going in the same direction. 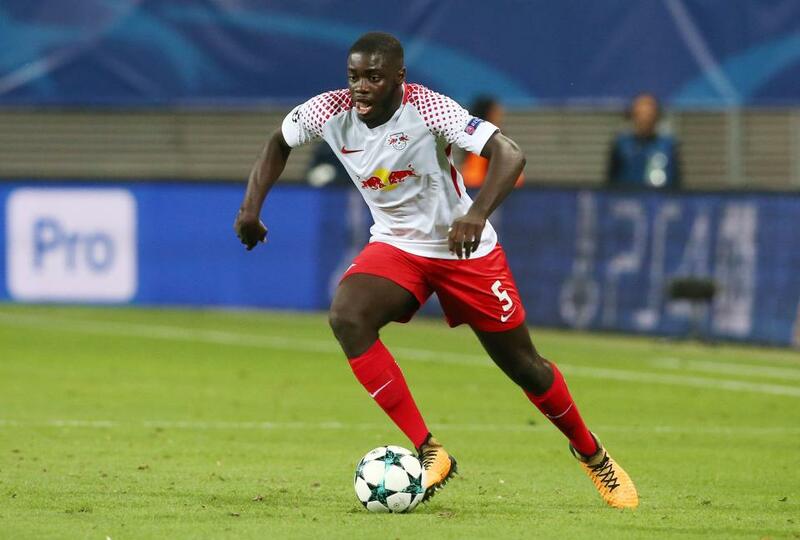 Dayot Upamecano has started 22 Bundesliga games for RB Leipzig this season, making a further two appearances from the substitutes bench.